Biodiversity, or “biological diversity”, is very important to all life on Earth. 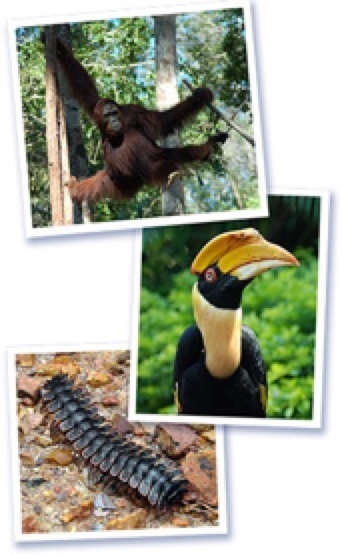 Indonesia is one of the top countries for biodiversity. 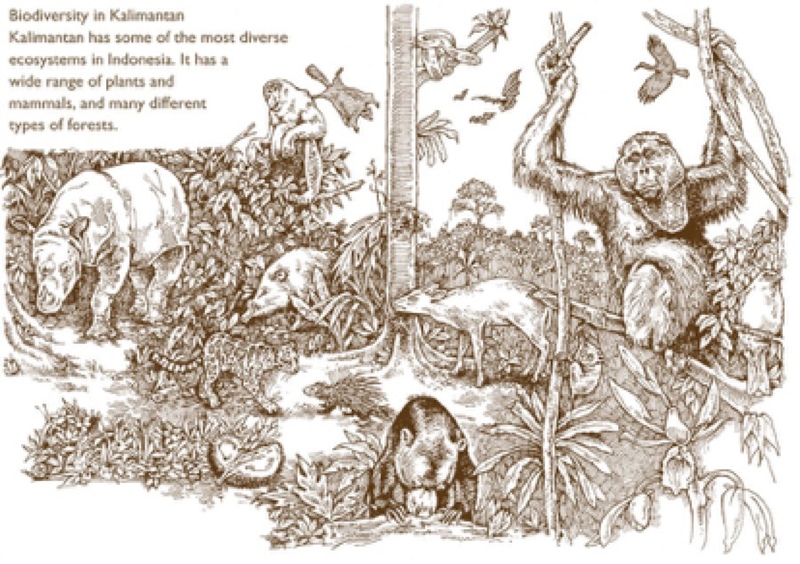 This is mainly because Indonesia has so many forests, and forests are very rich in biodiversity. “Biological” refers to all living things – all plants and animals. 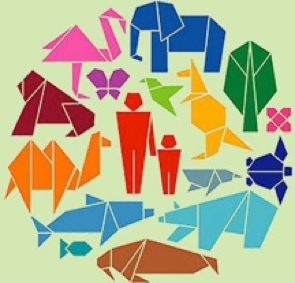 When we talk about biodiversity, we are talking about all animals, from large mammals like elephants, to birds, fish, reptiles and small animals, to insects. We are also talking about plants, ranging from huge trees through to grasses and tiny flowers. Even bacteria are included. “Diversity” refers to range and variety. For example, Indonesia has about 25,000 different kinds of flowering plants. Biodiversity is so important that there is an international agreement to conserve it. This agreement is called the Convention on Biological Diversity. Indonesia signed it in 1994. Birds eat fruit from trees. Then they drop the seeds on the ground, and new trees grow. Some animals eat plants and then are eaten by other animals. When animals die, their dead bodies make the soil richer, so more plants can grow. Humans and animals breathe in oxygen and breathe out carbon dioxide. Plants take in the carbon dioxide and turn it into oxygen. Ecosystems are very complex. In an ecosystem, everything has its role. Disrupting one part of an ecosystem disrupts the whole system. Forests are large ecosystems that need a lot of biodiversity. How does biodiversity support ecosystems? It is important for an ecosystem to have a lot of variety, so biodiversity makes ecosystems strong and healthy. If an ecosystem has a lot of variety, it is better at adapting when the climate changes. In a strong, healthy ecosystem, the water, soil, and air are good quality – and we need good water, soil, and air to survive. Therefore, biodiversity is very important for the future of all humans and other life on Earth. Farms with few types of plants, such as oil palm plantations. Taking away too many plants or animals from an area. Bringing into an area a new species that kills native species. Pollution from cars, factories and fertilizers.